If you checked my biography page you will know that my background is in building construction. 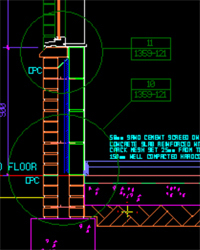 CAD is a great tool for architects, engineers and surveyors. I can help you get the most out of CAD systems by showing how to use co-ordinates, the layering systems and create symbols. CAD software can be very complicated and some people end up using them for only basic plans. When CAD first became available on PC's, I once discovered a company that had spent over £100,000.00 on a CAD system and only used it to produce 1:50 scale plans - what a waste! Of course, CAD really comes into its own when changes have to be made. 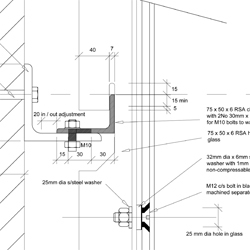 If the drawings are constructed properly in the first place then even major changes can be done quickly. I have used CAD - specifically Cadvance - to create plans and construction drawings for all sorts of projects, from small residential extensions to multi-million pound estates in Docklands. Please take a moment to click this link and have a look at the buildings that were constructed in Docklands. If you are overstretched, I can do some of the drawing work for you. I can help you draw up surveys, general plans or construction details. 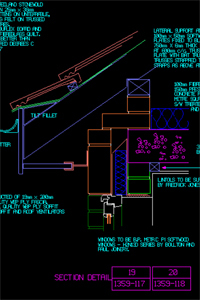 If you want a building surveyed and drawn up, I can do that as well. 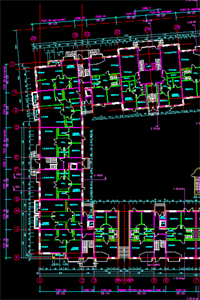 If you use AutoCad I can provide the drawings in Autocad format. St Mary's needed to enclose an area at the side of the church to allow parents with small children to attend services. This involved installing double glazed units into two stone arches above existing glass doors. 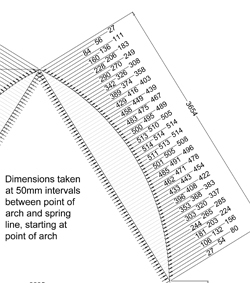 Proto Glass Studios took very detailed measurements of the arch and from them I produced the CAD drawings. The Fixing channel and the four glass units were cut directly from my CAD drawings. The all fited prefectly! Proto Glass Studis created a glass mobile from an artists specifications. 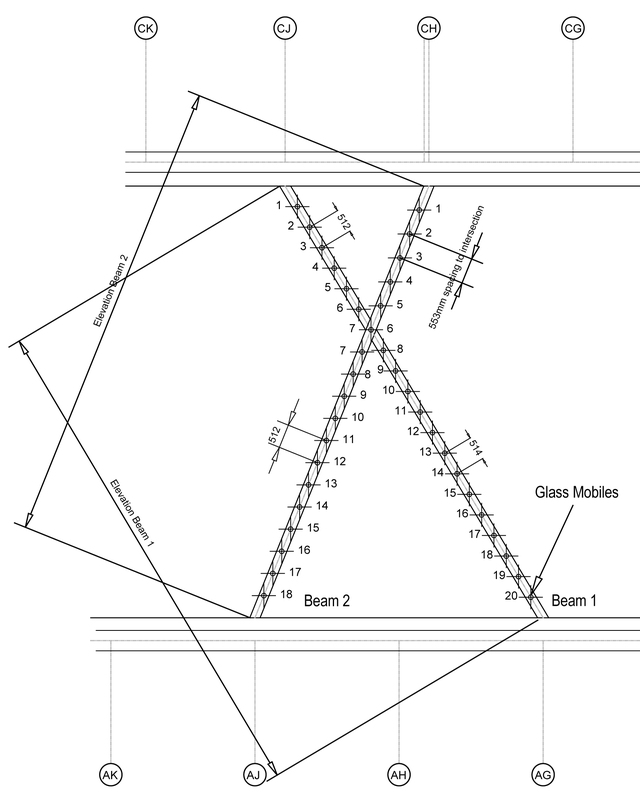 I created the CAD drawings to show how the mobiles would be fixed together and fixed to the two roof beams.